Premier Brian Pallister will no longer use personal email or cell phone accounts to conduct government business, according to a new policy directive created the same day records from a personal cell phone belonging to the Pallister family were disclosed. "I have changed my practices and now use a government cell phone, although I will reimburse the government for any costs associated with my personal travel," said Pallister in a prepared statement sent from his director of communications, Chisholm Pothier. Pallister has always insisted his vacations have never come at a cost to the taxpayers. 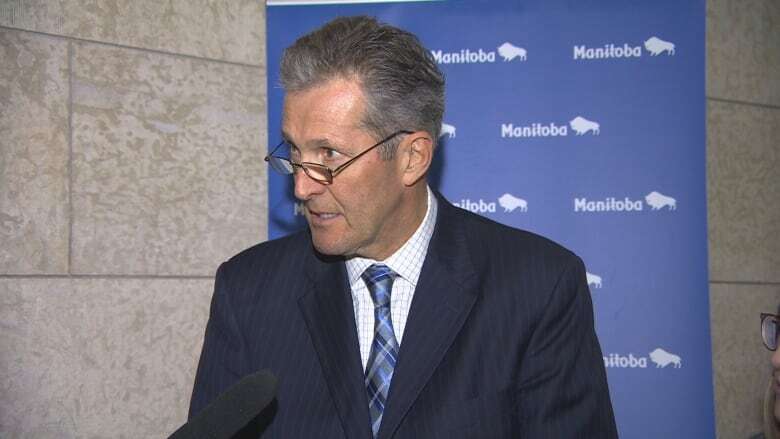 Manitoba's premier has been dogged with questions for months concerning how he communicates, especially while away at his vacation home in Costa Rica for weeks at a time. Freedom of Information requests for records pertaining to his government-issued email or cell phone consistently came back empty and the premier has remained consistently vague, saying he regularly keeps in touch, refusing to disclose the method. It was revealed last year that there were no records of the premier ever using his government-issued email and he has publicly stated he uses a "variety of email accounts." Pothier did not specifically address the use of a personal email account, but noted in the statement that "most of this communication is done by phone, not email," but he "does use email on occasion." Cell phone records were obtained by the New Democrats last month under the province's freedom-of-information law, following a protracted battle from the opposition for access to the personal cell phone records of the premier. The records come from a phone not registered in Pallister's name, but described as a "family phone," according to Pothier. The records show in 2016, during the six weeks that Pallister spent in Costa Rica, he only spoke twice to a government employee. Both occurred on Dec. 19 to senior staff during the height of negotiations between the provinces and Ottawa over a new health accord. The rest of the records that were released contained more than 50 calls between Pallister and senior staff or executive council members. No cabinet ministers are on the list. A request for an interview with the premier was denied. It is unclear if the "virtually daily" communications that Pallister has said he does while away have occurred on a personal landline in Costa Rica or via email. "At this point and based on the new adopted security protocols he will use only the government cell phone when travelling," Pothier said in a prepared statement when asked about a Costa Rica landline. The new security protocol for all cabinet ministers and members of the executive council will bar the use of non-government issued cell phones or email accounts, according to the directive released to CBC News. In January, the NDP made a request for access to all local, national and international phone calls from the premier's personal cell phone since May 3, 2016. The request was disregarded as being out of scope, which prompted an ombudsman's complaint. The NDP argued that any government business — whether it is conducted on a government-issued phone, personal phone or personal email account — should qualify as a record and be subject to freedom-of-information laws. The complaint to ombudsman was filed by the NDP earlier this year and the ombudsman's decision is expected to be released in the next 30 days. On July 14, the same day the new security protocol came into force, the response from freedom of information co-ordinators was revised and the records were released. A FIPPA co-ordinator for the executive council told CBC News that emails sent from a personal email account from a cabinet minister or member of executive council, regarding government business, will also be subject to release under freedom-of-information law. The protocol also includes texting and messaging apps used when conducting government business on a non-government issued device. 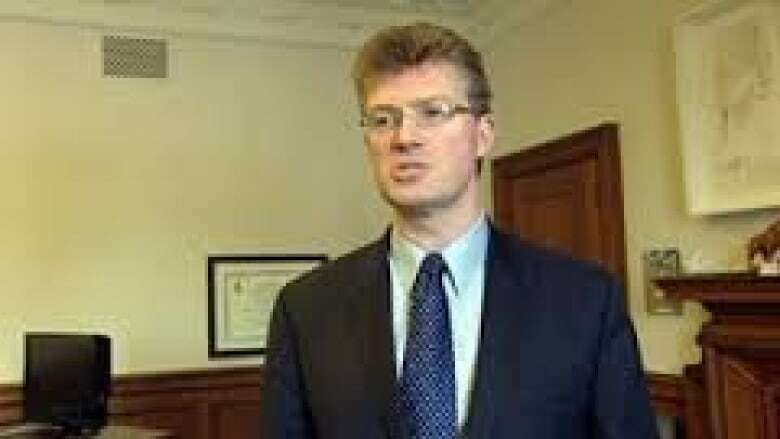 NDP justice critic Andrew Swan says Pallister has done an "about-face" (CBC News )If there is an "exigent" circumstance and non-government devices or apps are used, a copy of the record must be sent to their government email account and deleted from their personal device, the protocol states. Pothier said when questions arose about Pallister's communication methods, the premier ordered a review of the security policies and guidelines and found there was a "gap" in the policy regarding the use of mobile devices. He said there was no advice given to the premier or cabinet on the matter when the Tories formed government. Andrew Swan, a former cabinet minister under the NDP and the party's current justice critic, describes the release of a new security protocol as an about-face by the premier. "We are pleased now that the government has admitted the premier was wrong," he said. "The most concerning thing is that the premier misled Manitobans for months. He told us he was following protocols and following government policy regarding his communication and now through his government, they have acknowledged this is not true." Swan is referring to previous statements by Pallister in which he insisted to media and in question period that there was a protocol in place. "The system that hasn't facilitated leaks because it is not fully known to the world and that is part of maintaining security. I am told that was the same instructions given to the (previous government) and that they followed it," Pallister told media in May when asked to divulge how he communicates with senior staff. Pallister also said at the time he would be reviewing the current protocol. "I have asked our clerk on security, on the security side, what other measures we could adopt in addition to the ones that he's told me were utilized in the past [because] I am very concerned that we adopt every measure possible to protect the security of information," Pallister told reporters that same month. Swan says the concern surrounding the use of a personal device is twofold: it is less secure and it doesn't give Manitobans confidence their government is being forthcoming. "Confidence that everybody in the government is subject to freedom-of-information laws and there is not the possibility of the cabinet ministers or the premier of this province using alternative means to get out of their obligations under FIPPA," Swan said. Political analysts applauded the move towards barring the use of personal devices. Paul Thomas, professor emeritus of political studies at the University of Manitoba, called it a step in the right direction by the Pallister government when it comes to transparency. "At some point it is costing you more than you are gaining," Thomas said about the continuing stories related to Pallister's communications. "I hope this is a sign of a move towards a more open government and telling voters: 'We were better.'"